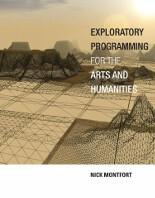 I’m pleased to announce the publication of Exploratory Programming for the Arts and Humanities, an MIT Press book to teach programming as a method of inquiry and creativity, no background required. 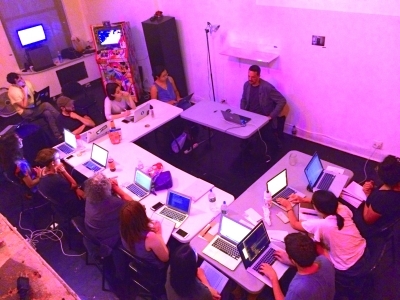 I’ll be running events that are associated with the book to help people start programming. The first of these is at Babycastles (137 West 14th Street in Manhattan) on April 23. If you’re near and interested in starting to program, please sign up! A copy of the book is included with the workshop fee, which, with processing charges, comes in under $60 and supports this community-oriented gallery.